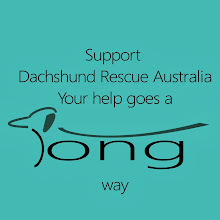 Do you own a dachshund (miniature or standard) and live in Western Australia? From time to time dachshunds go missing. Here is a crib sheet on the steps to take when trying to find your missing companion. Here is a template you can use to create a flyer with all of these details. If you're not so good at these things, ask someone to help you create one while you go looking. If your dog has gone missing in another area, contact both your home ranger and the ranger in the area the dog went missing. The police if you have reason to believe your dog has been stolen. Your micro-chip company. If your dog is micro-chipped, make sure your details are up-to-date, and let the micro-chip company know your dogs is missing. Pets of Perth has over 20,000 likes, which means you have an extra 20,000 eyes around Perth looking out for you dog. Post on our Long Dogs WA facebook group. Let us know by emailing longdogswa@gmail.com or by posting in our facebook group.We often have members volunteer to help look and distribute flyers in the area. Create a "Help find fido"... facebook page for your pet. This should be seperate to your personal facebook account. To see an example site check out Rupert's https://www.facebook.com/HelpFindRupert. Ask everyone you know to share it. Make sure you have copies of your flyer here for people to download. Gumtree - http://www.gumtree.com.au/p-post-ad.html get a lost ad up on gumtree under Pets - Lost and Found. Also, check the found ads on Gumtree in case someone is already trying to get you and your dog back together. Pounds and shelters in your area. Surprisingly not everyone knows what a dachshund looks like - especially a long haired. The description you give might not match what busy pound staff see. Any of them may have seen something that might point you in the right direction. Give them flyers to keep your dog's details front of mind. Create a flyer to hand out and posters to put up in public places. Here is a template you can use to create a flyer. If you don't have a printer, places like libraries and Officeworks and Snap printing offer these services. Save yourself some money - smaller black and white flyers get the information out just as well for letter box drops as A4 colour. Letter box drop in the area the dog went missing. Put up posters in shopping centres, vets, schools, garages, pet supply stores, fast food store, supermarkets, groomers. Don't be afraid to ask for help. There are lots of people out there who have been through this and many of them are keen to help others in the same situation. Don't be put off my the 1% of people you talk to who will try and make you feel guilty about how the dog went missing. Focus on finding your dachshund and keep thinking positively. Here are some contact details that may be useful. If you see one of these links is broken, please let us know so we can update it. *Phone / visit the shelters - even those that post pictures of impounded dogs may not do so frequently. Dogs often go missing when scared, set off by fireworks or other events. Dogs frequently go missing when their owners are away. Make sure if you are going away that the contact details for your dog are still going to work if the worst happens. Good fencing, padlocks on gates, microchips with correct details and a collar with contact details could all save you the heartache of looking for a lost pet. If you know of any other tips, sites or resources that would help someone looking for a lost pet, please let us know. Thanks to Jolene for compiling much of this information for us.